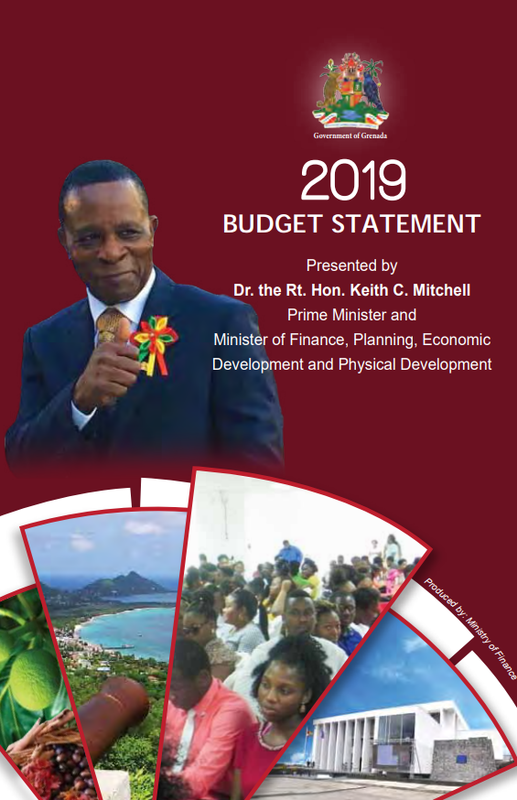 2019 Budget Statement. Presented by Dr. the Rt. Hon. 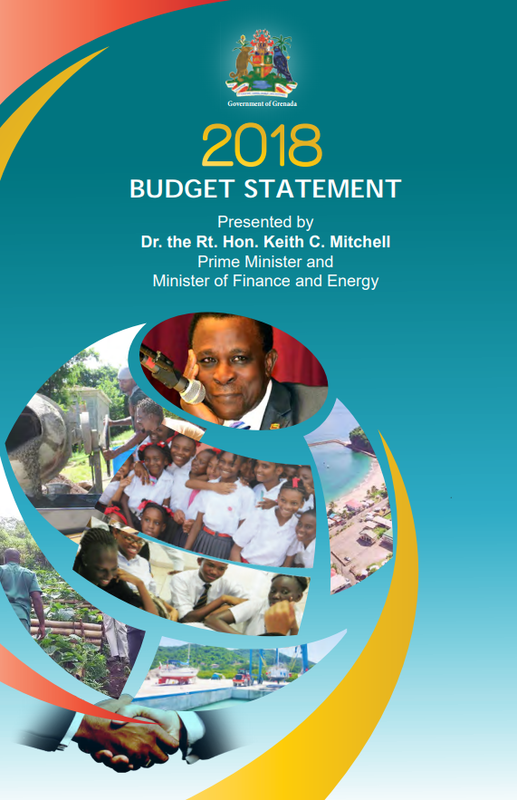 Keith C. Mitchell, Prime Minister and Minister of Finance, Planning, Economic Development and Physical Development. 21 November 2018. 2019 2019 Budget Statement. Presented by Dr. the Rt. Hon. 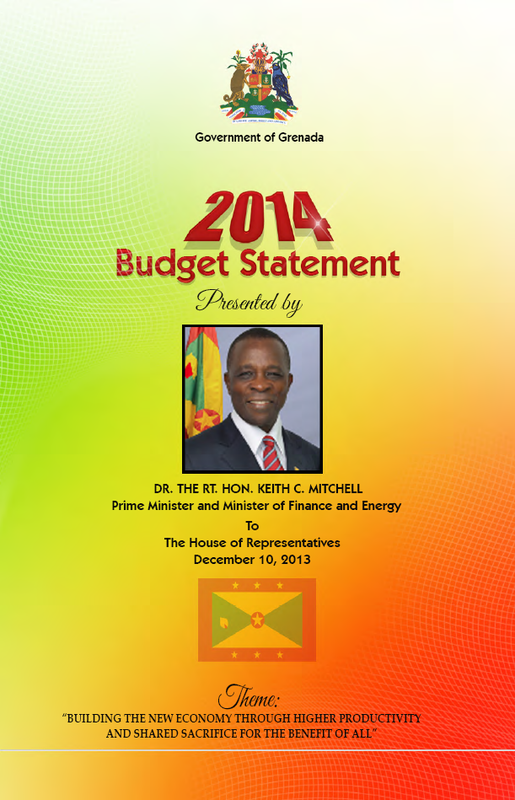 Keith C. Mitchell, Prime Minister and Minister of Finance, Planning, Economic Development and Physical Development. 21 November 2019. 2018 2018 Budget Statement: Moving Forward Together and Delivering Results. Presented by Dr. the Rt. Hon. Keith C. Mitchell, Prime Minister and Minister of Finance and Energy. 27 November 2018. 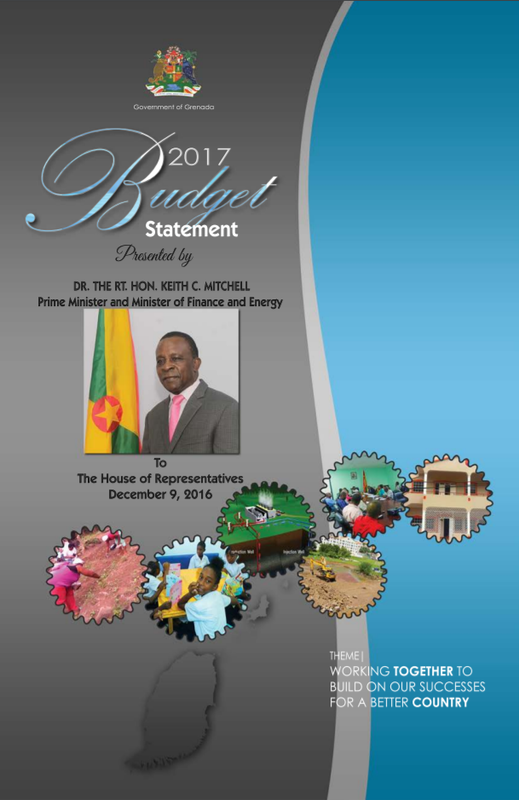 2017 2017 Budget Statement: Moving Forward Together and Delivering Results. Presented by Dr. the Rt. Hon. Keith C. Mitchell, Prime Minister and Minister of Finance and Energy. 9 December 2016. 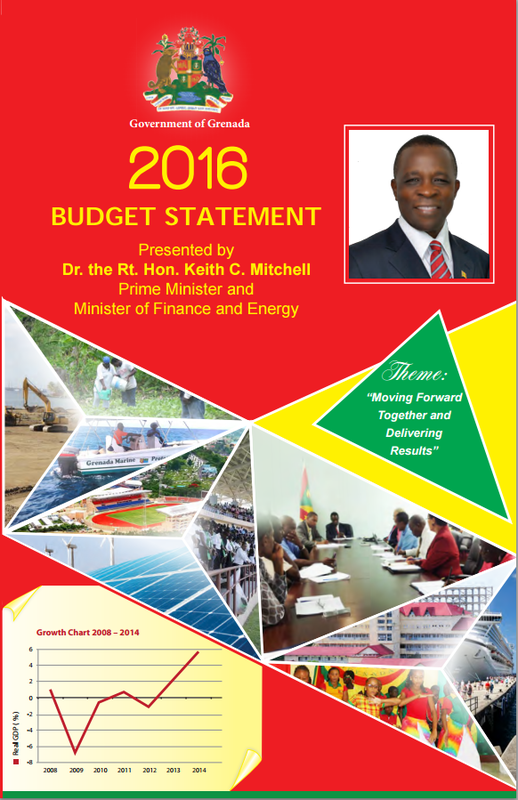 2016 2016 Budget Statement: Moving Forward Together and Delivering Results. Presented by Dr. the Rt. Hon. Keith C. Mitchell, Prime Minister and Minister of Finance and Energy. 25 November 2015. 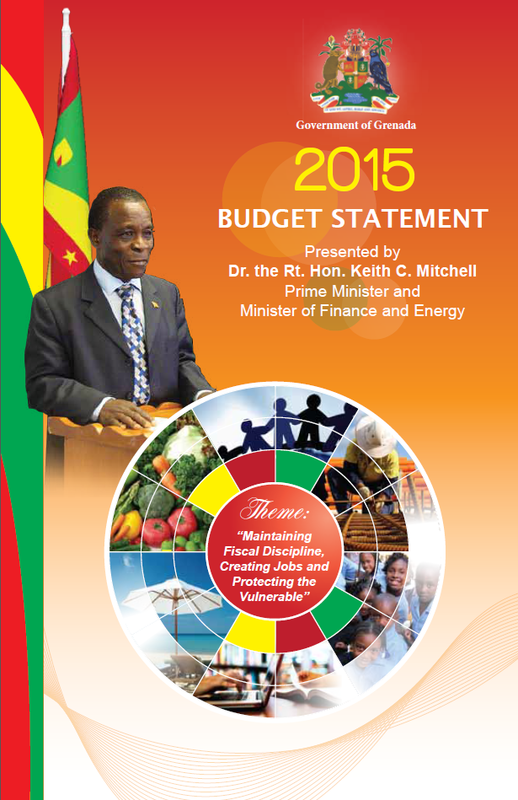 2015 2015 Budget Statement: Maintaining Fiscal Discipline, Creating Jobs and Protecting the Vulnerable. Presented by Dr. the Rt. Hon. Keith C. Mitchell, Prime Minister and Minister of Finance and Energy. 26 November 2014. 2014 2014 Budget Statement: Building the New Economy Through Higher Productivity and Shared Sacrifice for the Benefit of All. Presented by Dr. the Rt. Hon. Keith C. Mitchell, Prime Minister and Minister of Finance and Energy. 10 December 2013. 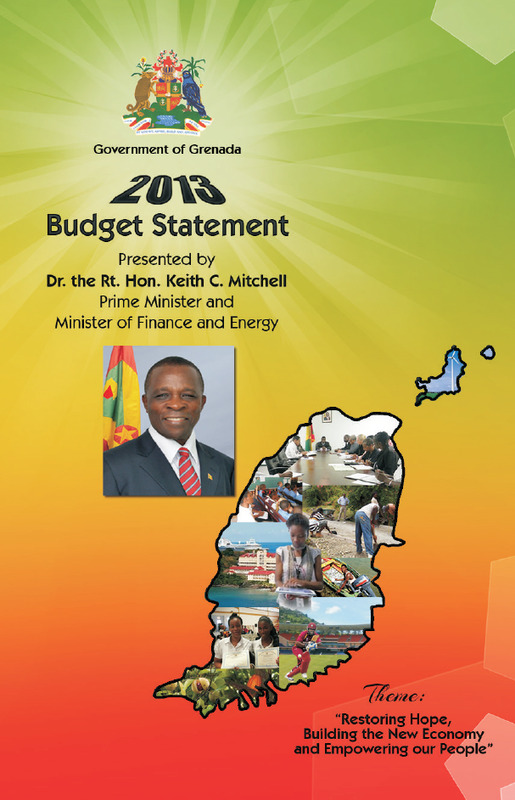 2013 2013 Budget Statement: Restoring Hope, Building the New Economy and Empowering our People. Presented by Dr. the Rt. Hon. Keith C. Mitchell, Prime Minister and Minister of Finance and Energy. 16 April 2013. 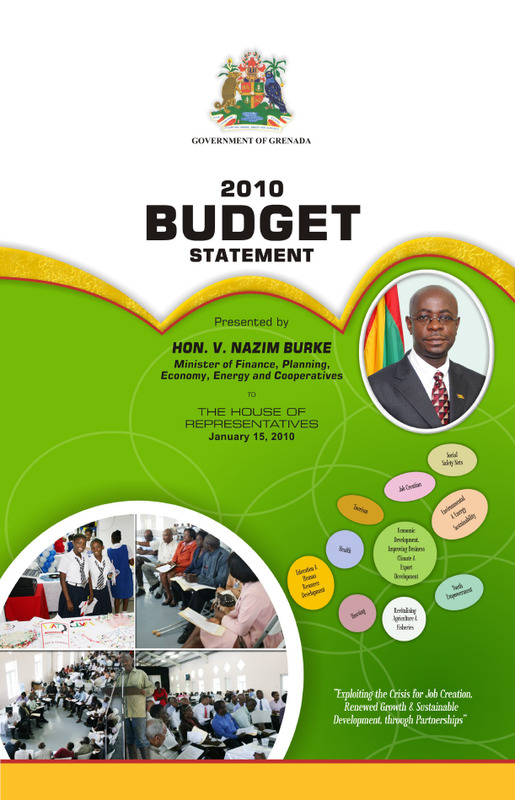 2012 2012 Budget Statement: Consolidating the Recovery and Advancing the Transformation Agenda. Presented by Hon. 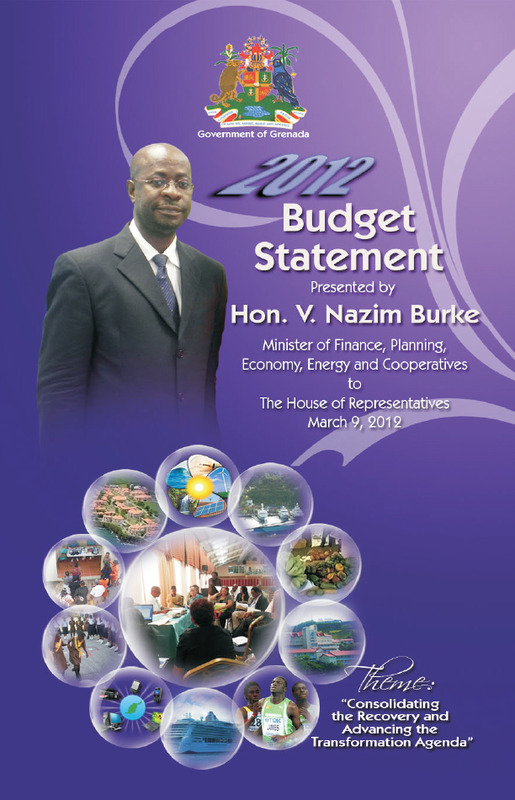 V. Nazim Burke, Minister of Finance, Planning, Economy, Energy and Cooperatives to The House of Representatives. 9 March 2012. 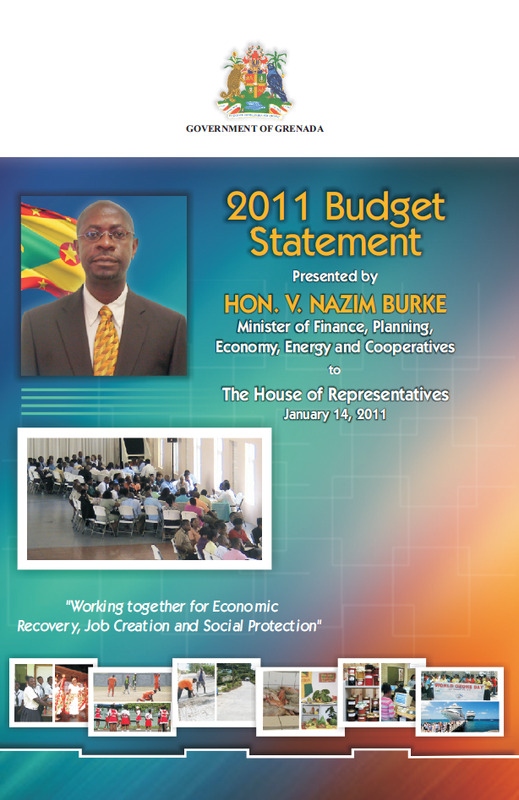 2011 2011 Budget Statement: Working together for Economic Recovery, Job Creation and Social Protection. Presented by Hon. V. Nazim Burke, Minister of Finance, Planning, Economy, Energy and Cooperatives to The House of Representatives. 14 January 2011. 2010 2010 Budget Statement: Exploiting the Crisis For Job Creation, Renewed Growth and Sustainable Development Through Partnerships. Presented by Hon. V. Nazim Burke, Minister of Finance, Planning, Economy, Energy and Cooperatives to The House of Representatives. 15 January 2010. 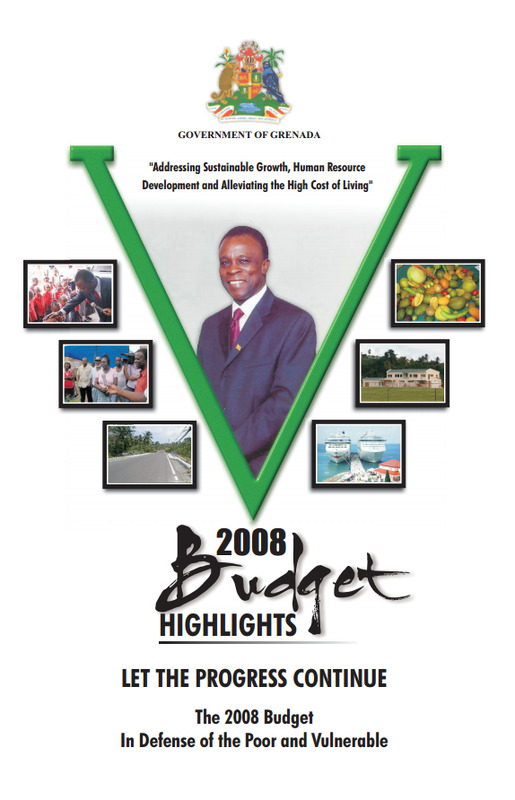 2008 2008 Budget Presentation: Addressing Sustainable Development, Human Resource Development and Alleviating the High Cost of Living. Presented by Dr. The Rt. Hon. Keith Mitchell, PC, MP, Prime Minister to the House of Representatives. 30 November 2007. 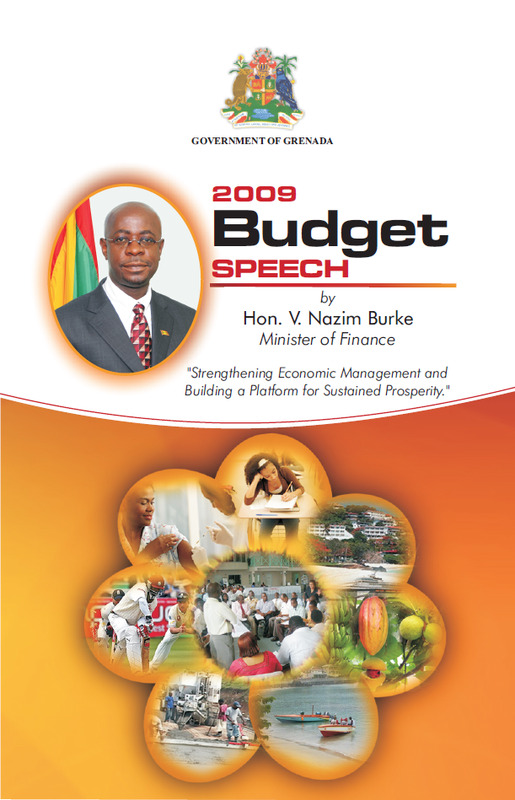 2007 2007 Budget Speech: Consolidating Growth, Enhancing Revenue, and Providing Safety Nets for the Vulnerable. Presented by Hon. Anthony Boatswain, Minister of Finance to the House of Representatives. 15 December 2006. 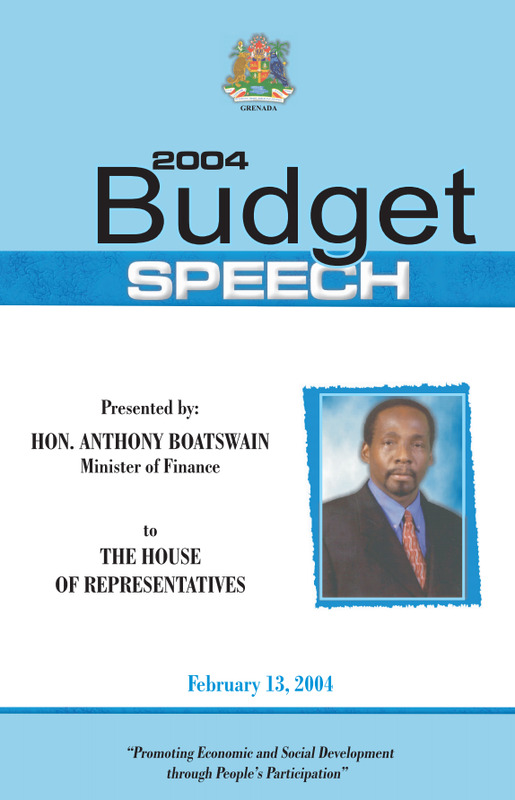 2006 2006 Budget Speech. Presented by Hon. Anthony Boatswain, Minister of Finance to the House of Representatives. 20 January 2006. 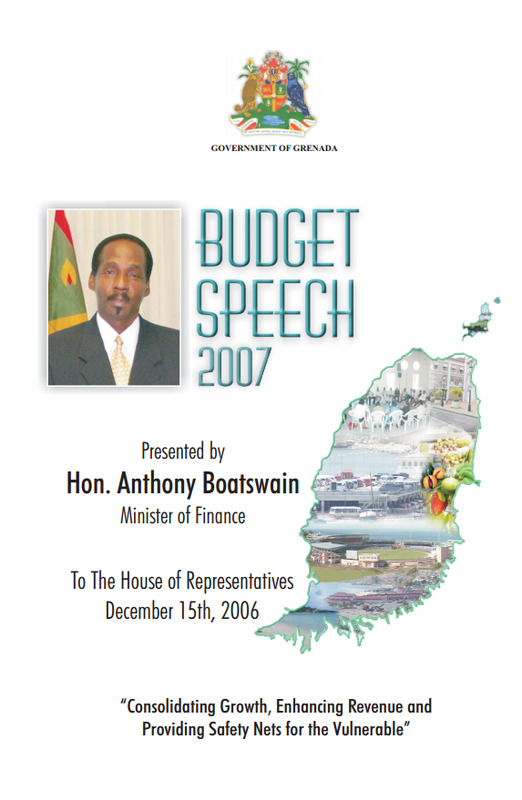 2005 2005 Budget Speech: Rebuilding a Better Grenada for All. Presented by Hon. Anthony Boatswain, Minister of Finance to the House of Representatives. 11 April 2005. 2004 2004 Budget Speech. Presented by Hon. Anthony Boatswain, Minister of Finance to the House of Representatives. 13 February 2004. 2003 2003 Budget Speech: Stimulating Economic Growth – Promoting Investments and Human Development. Presented by Hon. Anthony Boatswain, Minister of Finance to the House of Representatives. 15 November 2002. 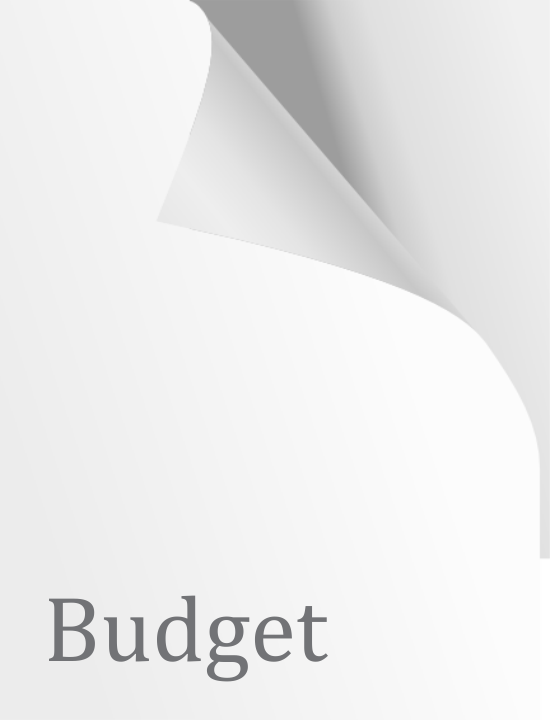 2001 2001 Budget Speech: Towards a Knowledge-Based Economy with Equity. Presented by Hon. Anthony Boatswain, Minister of Finance to the House of Representatives. 12 January 2001.